IT’S MID-AUTUMN – an even year – and that means billions of golf fans around the universe are sitting in front of their TV screens, enthralled by the action in the “third biggest sporting event in the world”. Yeah, sure. 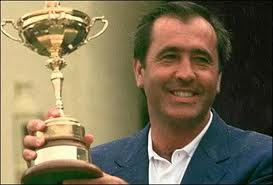 There is no doubt the Ryder Cup is a fascinating sporting spectacle, providing spectators with exceptional golf from many of the world’s finest players – gripping matches where the determination and passion to win is patent (just check out any old news reel of Severiano Ballesteros). But for the organisers and jingoistic media commentators and press to continue harping on about the Cup only being surpassed by the Olympics and soccer World Cup in status is nonsense and an insult to the vast majority of the world’s population who have no “nationalist” interest in the event. 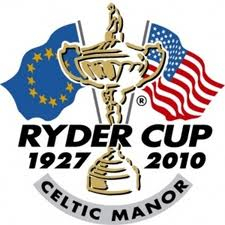 In fact, golf fans outside Europe and the US would, in the main, be more inclined to rate the four majors as the premier golf events, ahead of the Ryder Cup and, certainly, of the Presidents Cup, which pits the US against a Rest of the World combination (minus the Europeans) in every non-Ryder Cup year. 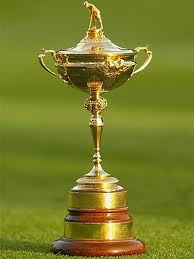 ♣ Currently active players who do not qualify to play in the Ryder Cup because of their nationality include: Grand Slam winners Ernie Els, Retief Goosen, Louis Oosthuizen and Trevor Immelman of South Africa; Australians Geoff Ogilvy and Steve Elkington; Fijian Vijay Singh; Argentina’s Angel Cabrera; Y.E. Yang of South Korea; and Canadian Mike Weir. ♣ Other non Ryder Cup players in the top 50 of the world rankings include: Australians Robert Allenby (21st), Adam Scott (36th) and Jason Day (39th); South Africans Tim Clark (22nd) and Charl Schwartzel (34th); Camilo Villegas (28th) of Colombia; (41st); and Korean K.J. Choi (43rd). Just outside the top 50 are Indian Jeev Milkha Singh and China’s top-ranked player, Liang Wen-Chong. 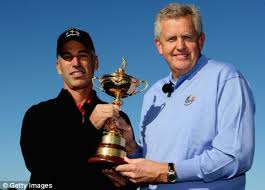 ♣ In the past, major champions Gary Player (South Africa), David Graham and Greg Norman (Australia) and Nick Price (Zimbabwe) never teed up in a Ryder Cup. ♣ The combined population of the European Union (approximately 500 million people) and US (a little over 300 million) represents barely 11 per cent of the world’s population. It is probably true that not much more than 11 per cent of people around the globe (if that many) are regular followers of soccer as well, but that’s an argument for another occasion. And the sport’s four-yearly football-fest is at least a “World” Cup (like the Olympics – both summer and winter!). ♣ Even the most blinkered Europhile would be hard-pressed to argue that a significant proportion of European citizens feel a deep and abiding sense of European identity and get all dewy-eyed when the European flag is raised. On the contrary: there is still a lingering antagonism across borders –especially when those borders are crossed by “economic immigrants”. Of the 27 EU nations, for example, 11 still remain outside the eurozone (including the UK and Sweden by choice). ♣ While the decision in 1979 to expand the Great Britain and Ireland team to include continental Europeans was the correct one at the time, serving to reinvigorate the competition, is it perhaps time to return to the old format? Victory has been evenly shared between the two teams in the intervening years (seven wins each plus one tied match up to 2010) but is it truly a fair competition? In addition to the considerable disparity in population, Europe has the advantage of drawing players from 27 countries, while the US is just one country (arguments about it being 50 states versus 27 countries are irrelevant). ♣ If the competition were to return to its pre-1979 format, the UK and Ireland team would, on latest rankings, comprise a pretty formidable combination. Players competing in the 2010 match: Lee Westwood, Luke Donald, Ian Poulter and Ross Fisher of England; two Northern Irishmen Rory McIlroy and Graeme McDowell; and Irishman Padraig Harrington. Then add: England’s Paul Casey (seventh in the world rankings), Justin Rose (two-time winner on the 2010 US Tour) and Oliver Wilson (68th); Welshman Rhys Davies (57th); and Scotsman Martin Laird (63rd). And perhaps replace Harrington with Englishman Simon Dyson. In the 21st century it surely makes no more sense to include an Irishman than it would a Spaniard, for example. So there you have it: a genuine “national” duel. And just dump the Presidents Cup altogether.